550-040 - CT Engineering Competition - Reinforced Differential Housing - Pann Auto Performance - San Diego largest aftermarket automotive performance parts - What do you drive? 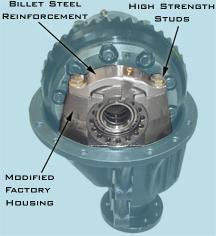 Developed to help retain the differential and ring gear from getting forced out the back cover under hard acceleration. This upgrade is highly recommended for customers who are considering the CT Engineering Supercharger, or who drive their vehicle hard on a regular basis. 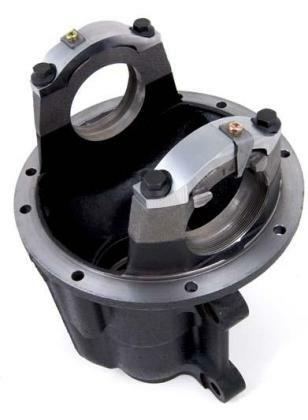 It is very common for the factory differential housing to break; even on a completely stock vehicle. Housing is sold on exchange basis. Core charge is $370 and will be added to your order, although refundable upon receiving good condition Core. If you’ve already broken your differential, this core charge will not be refundable. Ring & Pinion are NOT included in this kit.